The rise of player power is spiralling out of control. A rasping tornado of arrogance, self-indulgence and greed has effectively made the virtue of loyalty redundant during the Premier League era. Players seldom feel strongly about the badge and the colours they represent; instead the nearest and most lucrative pay cheque reigns supreme. Marko Arnautovic’s January transfer saga served as an acute reminder of how public displays of loyalty, however regular they manifest themselves, are often futile acts of deceit in the modern economic climate. The Austria international was, up until the turn of the year, adored by the Hammers faithful and a talismanic figure at the club. Arnautovic ritually celebrated goals with stout loyalism. First he would wheel away and hit the badge on his chest with passion rippling through his eyes, as if his devotion to the club was worth the years he was knocking off his ticker’s shelf-life with every vigorous slap. Once he was finished putting his heart through its paces, he crossed his arms to an x shape to bring West Ham’s iconic badge to life, transmitting his personal affection for the club, the supporters and its values with every passing goal. This was, as the fans later came to find out, a facade. 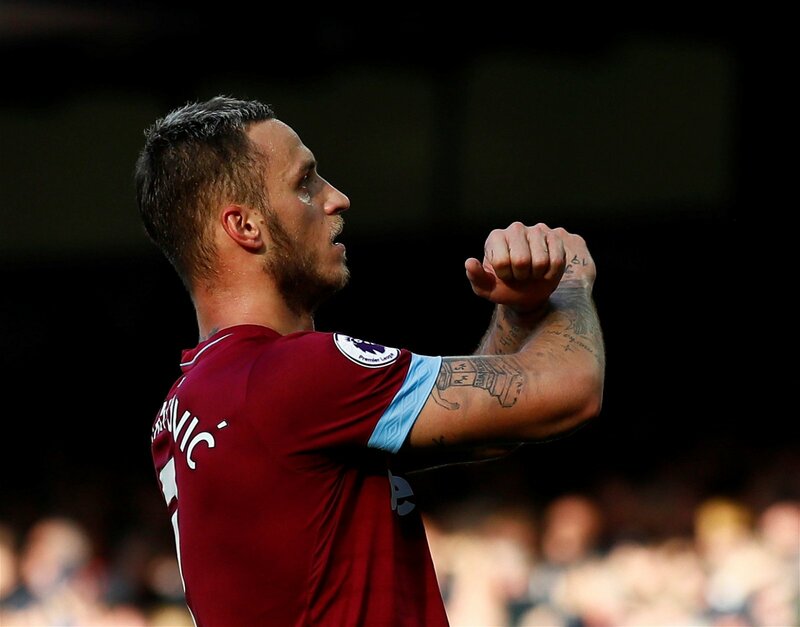 West Ham rejected a £35 million offer from Shanghai SIPG for the bulldozing powerhouse in January, but Arnautovic then attempted to force through a move away from the London Stadium. Speculation was temporarily brought to an end with his decision to sign a new contract, but a hazy lack of detail regarding the terms of the deal hinted that January merely hosted the first instalment of a saga which is bound to resurface in the summer. The 29-year-old hadn’t found the net in the Premier League since January 2nd heading into this weekend. He has resembled a disenchanted and sulky schoolboy on the pitch, merely counting down the minutes until he is finally released of the manacles which are keeping him in east London until the end of the season. This cliff dive from West Ham poster boy to bit-part underachiever symbolises a growing trend in football in which there is a direct correlation between professionalism and the prospect of moving to a more coveted club – regardless of whether the attraction is financial, footballing or a combination of the two. Dimitri Payet simply refused to train when Marseille came calling in 2016, Alexis Sanchez went off the boil when Manchester beckoned, Philippe Countinho was sidelined with a back injury in the summer of 2017 amid interest from Barcelona before making a mysterious return when the window closed, and Ousmane Dembele was suspended by Borussia Dortmund when he skipped training after learning of Barcelona’s interest in his services. However, there is an anomaly to the rule: Idrissa Gueye. Everton’s midfield anchor has been one of the most outstanding performers in the past two seasons, and he attracted interest from Paris Saint-Germain in January. The Senegal international, like Arnautovic, submitted a transfer request to complete the transfer his heart desired, but his efforts were made in vain. Yet, since news of PSG’s interest first began to emerge, he has conducted himself with a level of professionalism which puts the likes of Arnautovic and Dembele to shame. Gueye has continued to thrive at the base of Marco Silva’s midfield unit, breaking up play and playing percentage passes to keep Everton ticking over. There has been no public fiasco, unexplained absence from training, dramatic dip in form or shift in body language. It’s been business as usual for Gueye. After the transfer market slammed shut at the end of January, Silva described the 29-year-0ld as a “good professional and a fantastic boy”, and the weight of substance behind that claim has been evident in the standard of his performances in the last five games. The humble defensive midfielder often goes under the radar. Fundamentally speaking, the role is designed for a no-thrills, incredibly-reliable and steady footballer. It’s a selfless job which requires the player to sacrifice personal glory and recognition for the overall benefit of the team. Those prerequisites for the role translate into a level of professionalism which Gueye has maintained amidst the lure of playing for one of Europe’s top clubs and living in one of the continent’s most desirable cities. Message for Arnautovic: be more like Gueye.